Welcome to our Colorín Colorado blog! 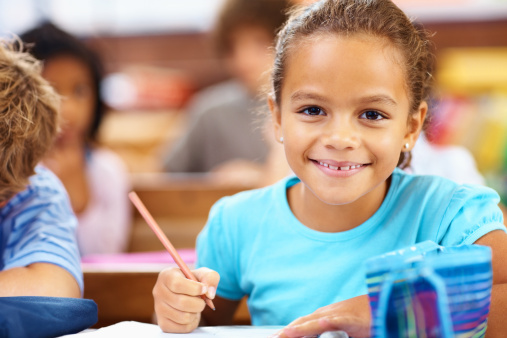 This blog is focused on helping English language learners (ELLs) succeed in the classroom, with a special focus on strategies and tools that that support the use of college- and career-ready standards (such as the Common Core) with ELLs. The blog includes updates from the ELL field about topics such as language proficiency standards and assessments, as well as practical tips for developing academic language, helping ELLs tackle grade-level content, and collaborating with colleagues. For related content, see our Common Core and ELLs resource section. You can also browse blog posts by topic. Since Education Week continues to provide excellent, in-depth coverage of the Common Core State Standards roll-out, this week we wanted to share a few highlights from their recent headlines. This week we'd like to take a break from text-dependent questions to share some resources with you on implementing the Common Core with ELLs that have become available recently. This post features examples of text-dependent questions for 2nd grade based on the book "So You Want to Be President?" by Judith St. George. While Diane is working away on her text-dependent questions, we wanted to share a few notable points from President Obama’s State of the Union speech last night related to Latino students and ELLs, and chime in on the subsequent reading of the tea leaves. I want to examine some ideas for using text-dependent questions with ELLs. Since I’m a big fan of writing two-part blog posts, first I’ll outline some big picture issues in terms of what TDQs are and some considerations in writing TDQs for ELLs. For this post, I wanted to look ahead and share a few of the topics that we anticipate featuring during the next few months. We will also be welcoming some more guest bloggers in coming months who can write on their area of expertise. In this webinar, Diane will provide participants with tools they can use to make informed decisions about ways to advocate for ELs as part of CCSS implementation. Here, in no particular order, are some of the most popular posts she wrote last year, each of which features in-depth information as well as multiple links to recommended resources and related posts. Lesli Maxwell at Education Week reports that the state of New York is preparing to ask for federal waivers to administer Common Core State Standards language arts assessments in ELLs' native languages.